Quick summary: Students will create a diagram similar to the familiar ‘water cycle’ diagrams used in geographical studies. The diagram will illustrate the drought to flood to drought pattern that is exacerbated by climate change. This lesson meets selected Australian Curriculum outcomes for Years 5 and 6 in the subjects of Science and Geography. 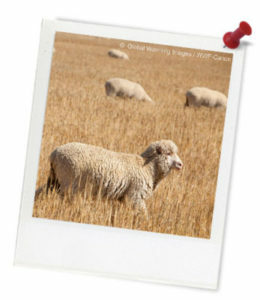 This lesson has been created in partnership with WWF-Australia. Earth Hour is the world’s largest community-driven climate change campaign. At the centre of Earth Hour is switching off lights to show a commitment to taking action. Thousands of teachers use Earth Hour’s education program to enrich their curriculum and provide pathways for young people to create change in their world. Join the program and take part in Earth Hour Schools Day on Friday the 29th March 2019. You can also involve family and friends in Earth Hour on Saturday 30th March 2019 8:30-9:30pm. 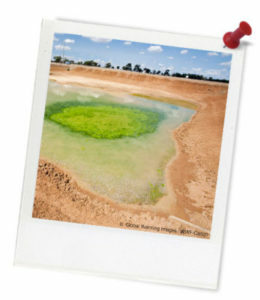 Students will become familiar with the drought and flood cycle facing many Australian food growers. Students will use their pre-existing knowledge and skills to diagrammatically represent a climatic cycle. Students will use their oral skills to present their own ideas to their peers. Cross curriculum priority: Sustainability OI.1, OI.2. Syllabus Outcomes: GE3-2, GE3-3, GE3-4, ST3-4WS, ST3-11LW, ST3-9ES. Resources required: For this lesson teachers will need to make copies of the Student Worksheet, The Drought and Flood Cycle. A3 paper will be needed, one sheet per student. Students should come equipped with coloured pens, pencils, textas, scissors and glue to use. Key words: Climate change, Earth Hour, impacts, future. 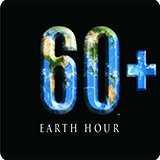 Teacher content information: Earth Hour is a WWF-Australia initiative, and is the world’s largest community-driven climate change campaign. At the centre of Earth Hour is switching off lights to show a commitment to taking action. Thousands of teachers use Earth Hour’s education program to enrich their curriculum and provide pathways for young people to create change in their world. 1. Preliminary activity – discuss Earth Hour and how students can get involved. Read out the following introduction. Thought starter: Cucumbers are mostly made of water, so they need a lot to grow. If the weather gets drier, we may not be able to grow cucumbers in many places that they grow now. If the weather gets too hot, cucumbers make more male flowers and not enough female flowers, and this reduces the crop. Read the following resource material before attempting to complete the activity. Australian agriculture generates around $155 billion dollars per year from farms that cover about 60% of Australia’s surface. Fresh water for irrigation is vital in farming. Some researchers have predicted that climate change will cause less rain to fall in many regions of Australia in the coming years.